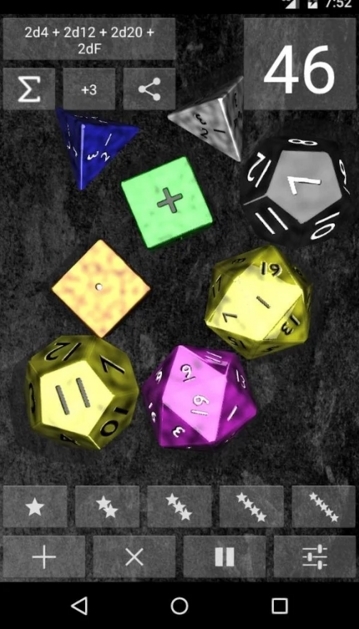 Check out DnDice, currently the top-rated Dice Roller for Android! 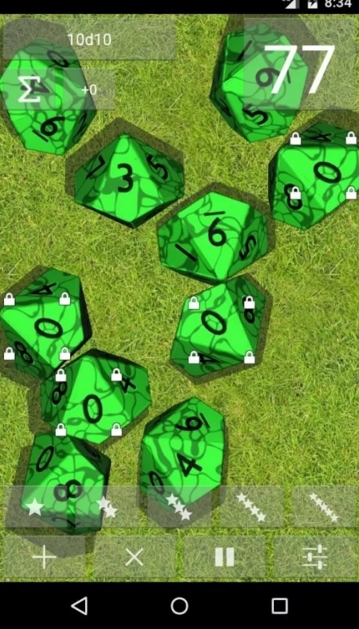 Dndice sports real physics simulation: RPG players, Board gamers and D&D fans can use DnDice to roll their dice as in the real world. DnDice is FULL and FREE for everyone! ‘Dice Sum’ mode: the result is the sum of the dice results plus a modifier. Full set RPG dice: d2, d3, d4, d6, d8, d10, d12, d20, d100, FUDGE/FATE. Shake dice by shaking your device. Move dice by dragging and throwing them with your finger. Shake dice by double tapping your device. Tilt your device to affect the dice gravity. Pause and resume the simulation. Long press on a die to block it, remove it or change its color. Modifier to be added/subtracted to the dice throw. 10 Customizable presets (name, dice and colors) with shortcuts. 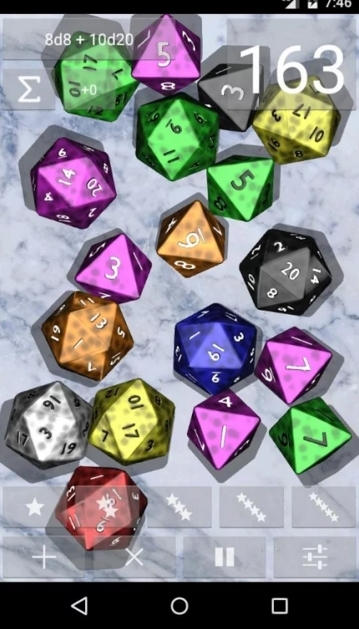 Customizable dice: color, style, opacity, number color and size. Customizable playground (Wood, Marble, Paper, Grass, Concrete, Stone, Leather, Casino, a custom Image or a Photo). Unlimited dice can be added, it depends on your device. Sound and vibration when dice collide. Sound effects when you score a high or low result (Applause, Laugh, …). Swipe up or down with two fingers to hide the upper and lower interface. Live Wallpaper! 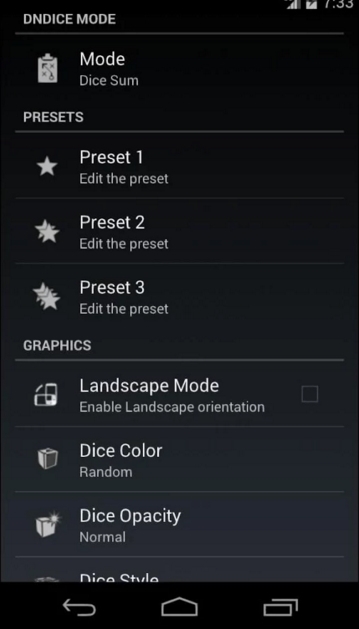 Select a preset and watch it on your homescreen. the people behind those software and libraries: Android, JPCT-AE (http://www.jpct.net), JBullet (http://jbullet.advel.cz/), Blender (http://www.blender.org/) and Gimp (http://www.gimp.org/)! Zbigniew Ross for helping me with the Live Wallpaper, check his apps! Leo ACS for the new Icon, Logos, playgrounds and the Portoguese translation!